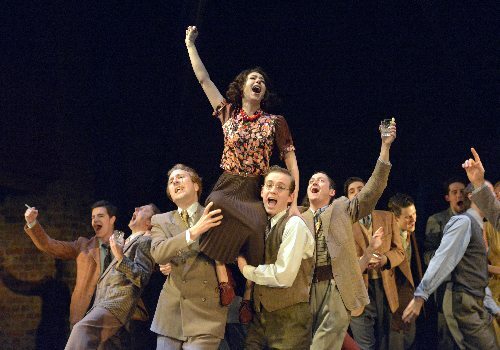 Following a highly praised sell-out run in Stratford-upon-Avon, the Royal Shakespeare companies production of Oppenheimer arrives at the Vaudeville Theatre for an 8 week West End transfer. 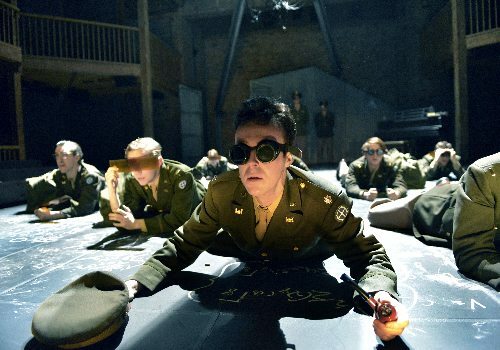 The show is based on the historical character of J Robert Oppenheimer; AKA the creator of the Atomic Bomb. Set in 1939 amid the tensions surrounding a world plagued by the onset of War and Fascism, Oppenheimer depicts the cost of scientific discovery and the potentially horrendous consequences. Oppenheimer is a charismatic scientist who finds himself thrust into power as his team battle to be the first to make the devastating weapon that has the power to end more than just the war, but all of humanity itself. 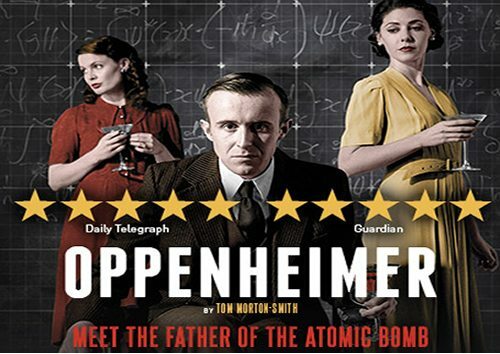 War is not the only issue Oppenheimer has to deal with; he is also caught up in a messy relationships with his wife, mistress and work colleagues - all in all resulting in interesting viewing! Tom Morton-Smith's play is Directed by Angus Jackson and stars original cast member John Heffernan. 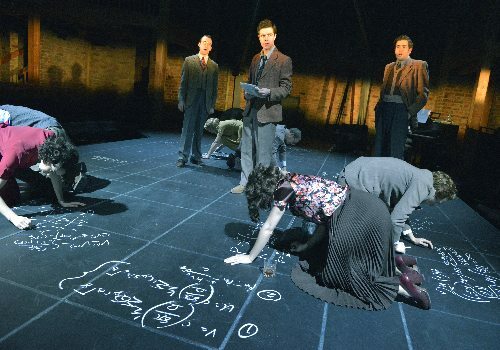 Oppenheimer is a tale of lust, science and warfare with devastating effect. It is not aimed at young children. Teenagers who are accompanied by an adult may enjoy the show for it's historical value.